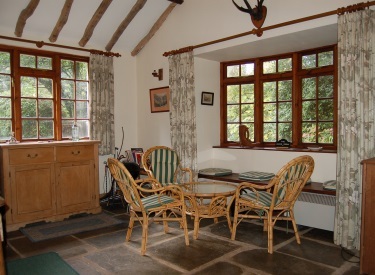 The cottage is really comfortably and completely furnished with everything provided for the perfect family holiday. 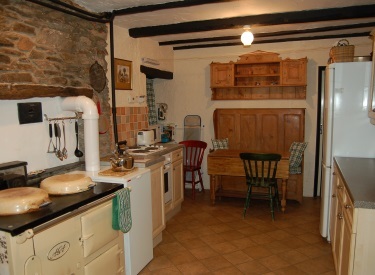 Central heating and the Aga keeps the cottage beautifully warm during the colder months. An extremely comfortable room with a uniquely carved fireplace of two locally caught salmon; the open fire keeps this room especially welcoming during the winter months. There is a table on which to play chess or draughts. A large 'through' room with a TV and DVD player. There is a well filled bookcase and maps, guide books, puzzles and games are availabe. There is also an ample toy cupboard. In the dining area there is a radio/CD player. 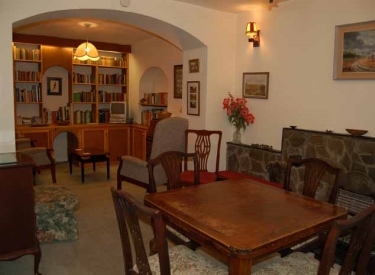 A very attractive and spacious beamed summer sitting room furnished in old pine. 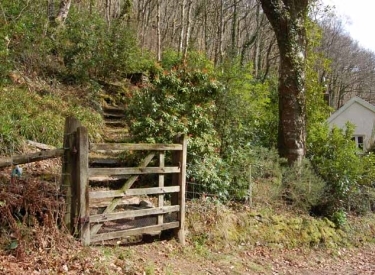 There are beautiful views of the East Lyn. 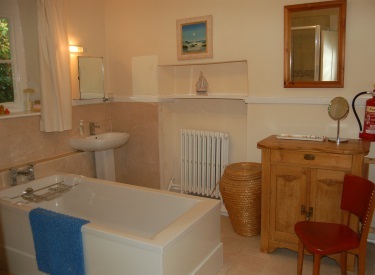 The master bedroom has an additional washbasin. 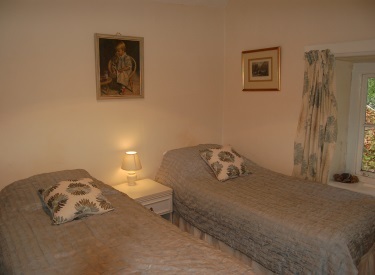 All beds will be made up on arrival and there is an adequate supply of spare blankets. Electric blankets are also available. 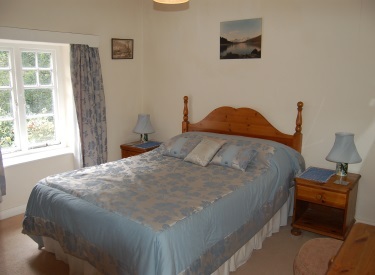 There are two further twin bedrooms. There is also a travel cot available, but we request that guests provide their own linen for this. Electric blankets are available in the front twin. The large bathroom has a WC, washbasin, bath and separate shower cubicle. There is also a separate WC upstairs. We do request that all guests bring their own towels and beach towels. There is a small private garden with table and chairs and also deckchairs. A small barbecue is provided. 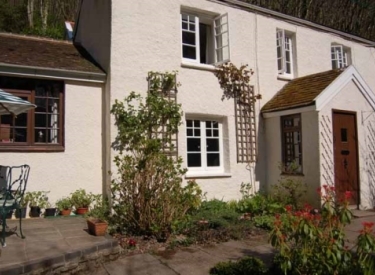 A separate hillside garden with patio and summerhouse adjoins the cottage making a delightful addition to the immediate surroundings. 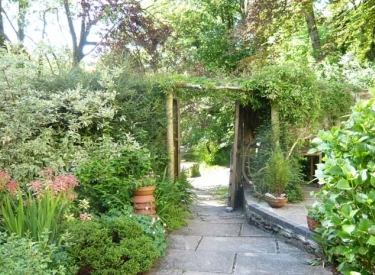 For more images of Rockford Lodge and it's gardens take a look at our gallery.